With this Potty Piano you can play piano while you poop! Play classic songs like Tinkle, Tink Little Star and Old McDonald had to Fart! 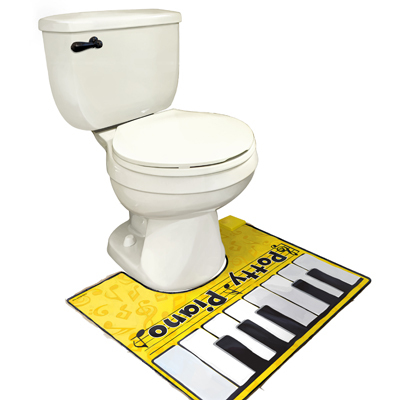 Simply place the potty piano mat around the toilet to create your own personal stage and tinkle while you jingle. The Potty piano comes with a song book to make even novice players play like experts. 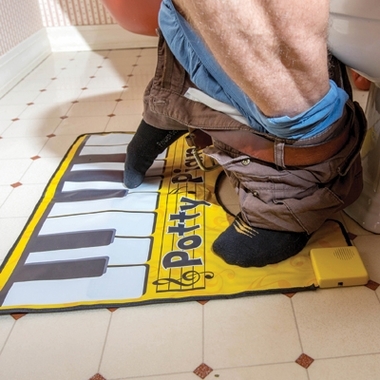 Be a Potty pianist with this hysterical toilet piano mat. 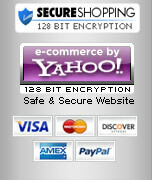 Availability: The Potty Piano usually ships in 1 business day.